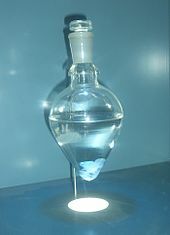 The Avery–MacLeod–McCarty experiment was reported in 1944 by Oswald Avery, Colin MacLeod, and Maclyn McCarty, that DNA is the substance that causes bacterial transformation. This was the culmination of research in the 1930s and early 1940s at the Rockefeller Institute for Medical Research to purify and characterize the "transforming principle" responsible for the phenomenon first described in Griffith's experiment of 1928. In this early experiment dead Streptococcus pneumoniae of the virulent strain type III-S, when injected along with living but non-virulent type II-R pneumococci, resulted in a deadly infection of type III-S pneumococci. At that time it was thought protein might be the hereditary material. In their paper of 1944, Avery and his colleagues suggest that DNA, rather than protein was the hereditary material of bacteria, and could be analogous to genes and/or viruses in higher organisms. This was an epoch-making experiment, but the three men did not get the Nobel Prize. The Nobel laureate Arne Tiselius said that Avery was the most deserving scientist not to receive the Nobel Prize for his work. ↑ Avery, Oswald T.; Colin M. MacLeod, Maclyn McCarty (1944-02-01). "Studies on the chemical nature of the substance inducing transformation of pneumococcal types: induction of transformation by a Desoxyribonucleic Acid fraction isolated from Pneumococcus Type III". Journal of Experimental Medicine 79 (2): 137–158. doi:10.1084/jem.79.2.137. PMC 2135445. PMID 19871359. http://www.jem.org/cgi/content/abstract/79/2/137. Retrieved 2008-09-29.